Early Bloomer. 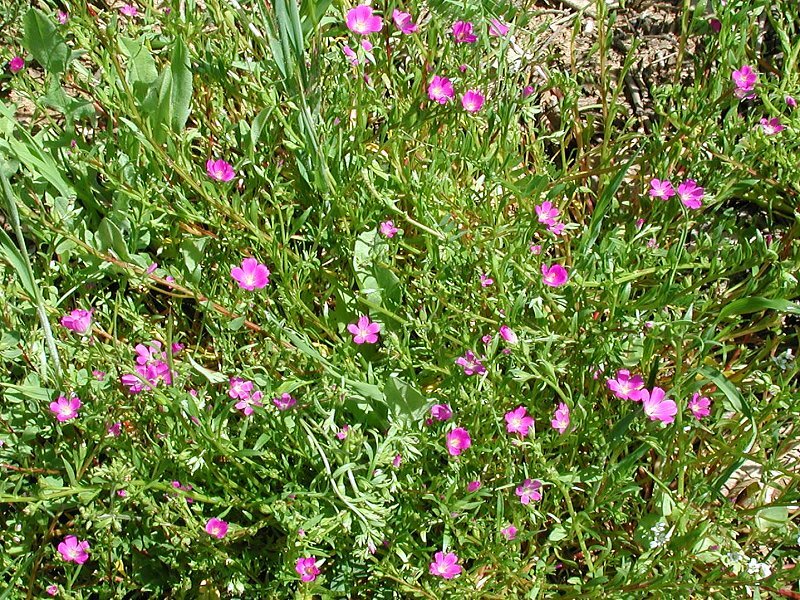 Five small, round red-pink petals, low growing in open areas. Seeds and foliage edible, blooms only in bright sunlight. Notes: Purslane family. Blooms only in the sun, and are scarcely noticeable when closed. 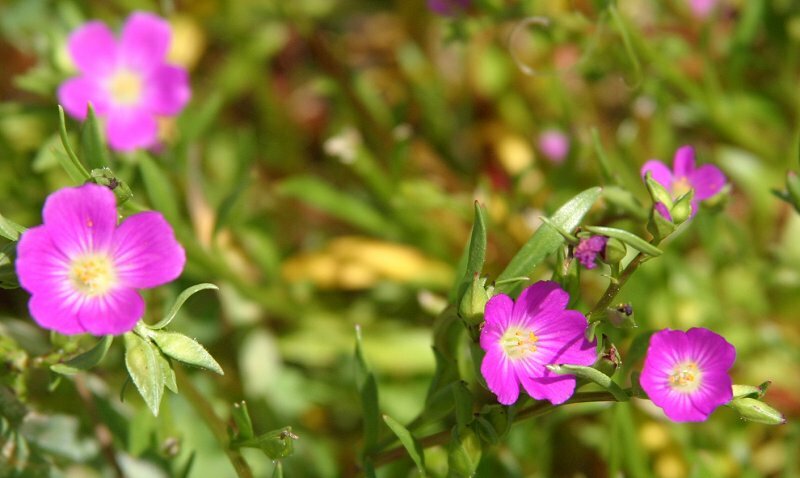 The tiny black seeds were prized by the Maidu as a food source; as in many of the purslanes (e.g. Miner’s Lettuce) the leaves are tasty. Seeds are also eaten by birds. 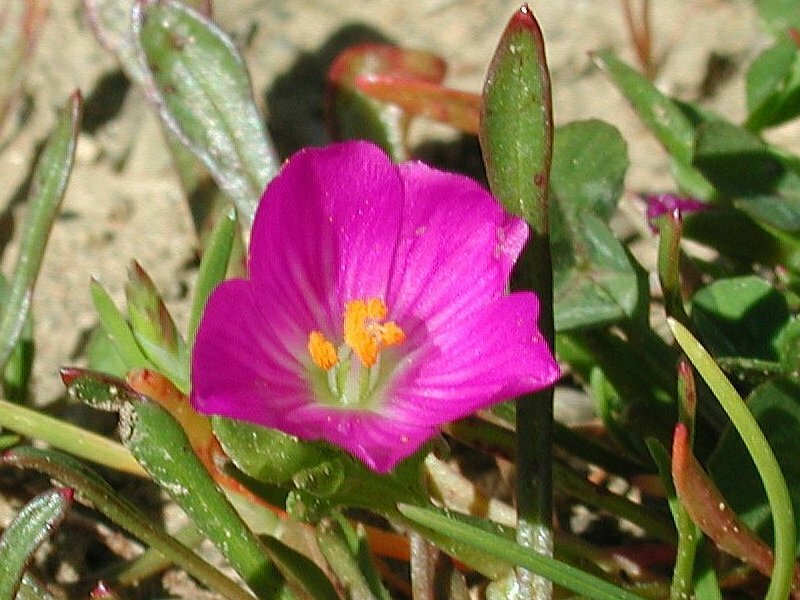 The genus Calandrinia has about 150 species. J. L. Calandrini was an 18th century Swiss botanist. Ciliata means ‘fringed’ in reference to the fine hairs on the edges of the sepals. Species Calandrinia ciliata (Ruiz & Pavón) DC.